Join us at the Yeti Tundra Tour in Somerville, MA on October 10th at 7:30 PM. All ticket proceeds will benefit Stripers Forever. General Admission tickets secure you a Tundra Tour logo 18oz. Rambler Bottle. The VIP package will get you the same 18oz. 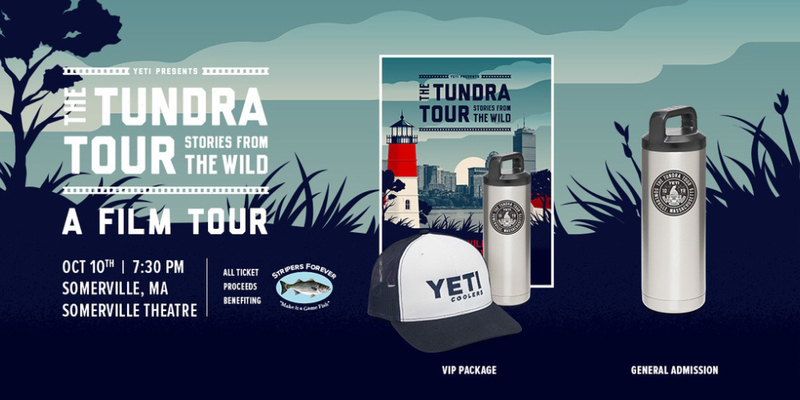 Rambler Bottle plus a Yeti mesh back hat and Tundra Tour poster. Please join us for a great night and support Stripers Forever in the process.